How to draw Anime Yoruichi Bleach. Here is a Manga drawing video and step by step tutorials. Learn how to draw Bleach Manga, Anime, and comics. Drawing and sketching Bleach character Yoruichi for manga, cartoon and comics. Learn to draw with tips from Video and step by step tutorial. Yoruichi Shihōin (四楓院 夜一, Shihōin Yoruichi) is the former captain of the 2nd Division of the Gotei 13, as well as the former commander of the Onmitsukidō. 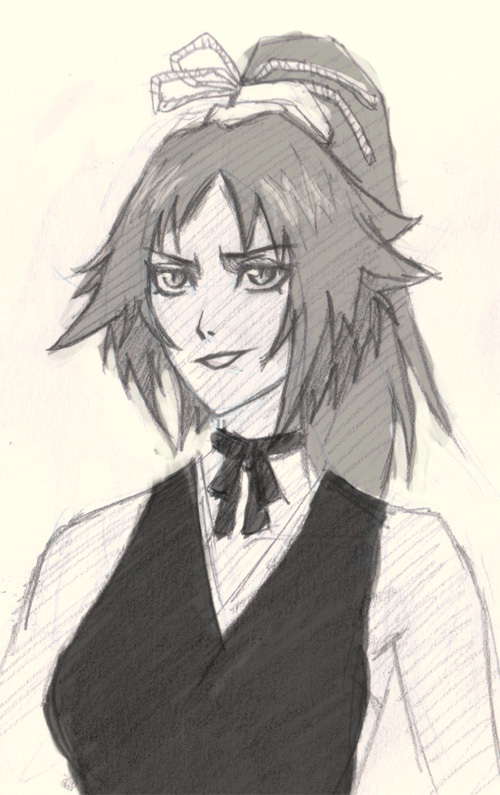 Having abandoned her command of both, she works with Kisuke Urahara and Tessai Tsukabishi, based out of the Urahara Shop in the Human World. Yoruichi Shihōin is a dark-skinned woman with golden-colored eyes and long purple hair, which she keeps up in a ponytail. Her standard attire consists of a backless, black sleeveless undershirt, an orange over-shirt with two white straps on each shoulder, a large beige sash around her waist, black stretch pants and long beige wrist warmers, secured by bands, and long beige leg warmers with brown light shoes, allowing for stealth and easy use of Shunpo. I usually look at the image and try to break it down into simple geometry shapes. It is a lot easier to draw once you observe the over all shape of the object or person you are trying to draw. Below is a Manga character, Yoruichi Shihoin from Bleach, face break down sheet. The tutorial sheer will help beginner artists to easier understand how to construct and draw a character’s face. Watch drawing Bleach Manga video instruction, learn to draw Yoruichi from Bleach. Below are step by step complimentary images to the video tutorial. From 1-4) I sketch out simple geometry shapes of the subject (Soifon’s face). At this point, do not worry so much about little detail, try to get the most accurate big shapes that fit right into her overall face. 5) Once you have the foundation sketch, then you can add in eyes, nose, mouth, and hair base on the construction line you already have. 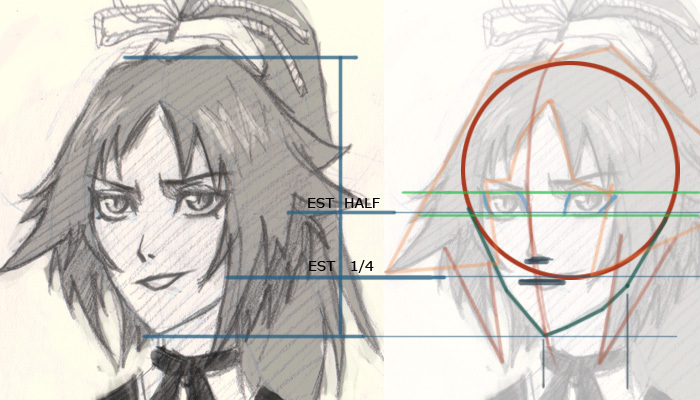 There are vertical line and horizontal lines to establish the facial structure as instruct on the video tutorial. 6-9) If you follow the instruction correctly, now you can just go ahead and draw the final darker lines over the sketch. You still can make correction along the way to make your drawing looks even better. If you did not get the result. Watch the video lesson and read the additional information here again.